Another Air Max hybrid is about to drop. This Iconic “Silver Bullet” Air Max 97 upper gets the VaporMax treatment. 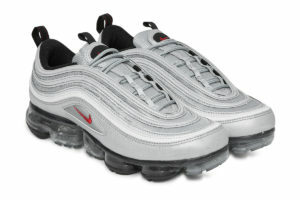 Get the retro look with modern comfort with the Nike Air VaporMax 97 Silver Bullet dropping at 3 AM EST on Friday March 30th.